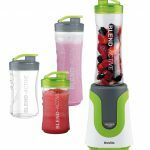 I absolutely love my Blend Active blender, I use it everyday and it owes me nothing at this stage but is still going strong. There are so many blenders out there most FAR more expensive than this one. The smoothie cups are perfect size and you can also get a blend active which has two regular and two smaller cups. Also it is on sale in Debenhams now for the ridiculously cheap price of €18!! You can buy it here. 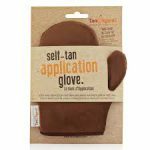 Let’s face it most of us in Ireland love to help our tans along with some self-tan and it is extra important for those Gymselfies and progress pics 🙂 This application glove is a must have for anyone who ever does their tan themselves. It makes it so much easier to do and it is a great stocking filler at €8.99. I love mine. You can buy it in loads of chemists and here. 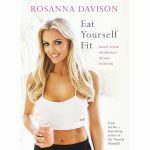 This is a super book for anyone looking for healthy tips and advice, not forgetting tasty and easy to follow recipes from our amazing client and PPD Brand Ambassador Rosanna Davison. We have just finished our Eat Yourself Fit Workshops in Galway, Cork and Dublin and I learned even more from her at those too. She truly is a remarkable person, kind, clever, funny, strong and of course drop dead gorgeous. You can get the book in most bookstores but here is a link to Easons. 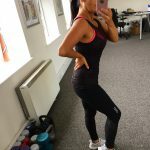 There are so many different places to get active wear nowadays, from cheap and cheerful to high end lux! I shop in so many different places but here are some of my favourite places to shop and articles of clothing! ElleBelle Fit Have so many gorgeous pieces. I love the Lorna Jane range that they stock and it is really hard to get it in Ireland so I am delighted they have it. 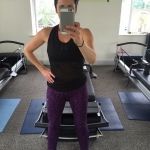 The LJA Centric Active Leggings are possibly one of my favourite workout wear pieces ever. They are comfy, pass the squat test, wash so well and look fab. I also love that they are Irish. Seagreen For high end lux pieces that you feel as happy in outside the gym as in this is your go to place. 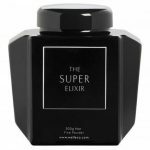 They also stock Elle Macphersons range WelleCo. Elverys I particularly love their branch in Dundrum as it is so spacious and has loads of stock. Elverys has a range to suit most people and most budgets. 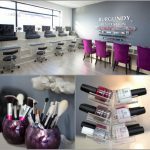 The staff are helpful, friendly and knowledgeable and they do great offers. If you are a Three Ireland customer make sure you check for discount codes online first!! I got these Nike bottoms at a super price using it. 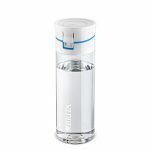 I love this, makes it so handy to drink filtered water as the filter is in it and you can just add any tap water. Saves on using plastic water bottles and BPA free. You can get it in SuperValu. Of course the best for last a PPD gift voucher. You can purchase them for a specific amount of either Proformer or Mash Up classes or a specific amount in Euros whichever suits you. We can email them to you so there is no delay. Contact us to arrange.